Western culture views insects and arachnids as pests and vermin that need to be controlled. They usually are not considered as something to be preserved. 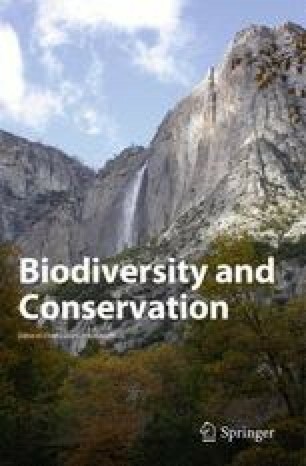 Accordingly, arthropods and other small organisms have not been taken seriously for conservation by policy makers and the conservation community at large. Having existed for more than 400 million years and after surviving the Permian and Cretaceous mass extinctions, arthropods have been the most successful of all living things and along with other invertebrates constitute more than three-quarters of today's global biodiversity. Arthropods are major components of diverse ecosystems and are the major players in functioning of ecosystem processes. Nevertheless, arthropods, which are the least known and, along with other plants and animals, are relentlessly vanishing before our eyes. Thus, aside from anthropocentric perception and societal prejudice, arthropods certainly are not pests in an ecological or evolutionary context and have an inherent biological right to exist in an evolutionary context, with ecological and instrumental values. They must be preserved because of their inherent values but also because we need them for human survival. Thus, arthropods must become an important and necessary part of the conservation strategy at all levels of environmental organization, from populations and species to ecosystems and landscapes.